Chatrang notation – composed by Abdul Qadir Piyarang. 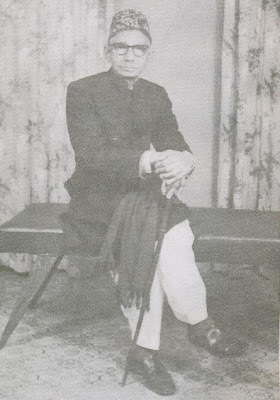 Khokhar Sahib was born in Rawalpindi. He graduated in music from the University of Punjab and is the student of Ustad Abdul Qadir Piyarang. 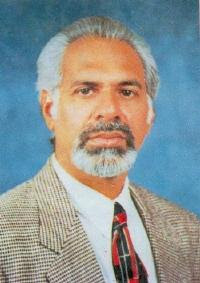 Raga Saroop is the name of a three-volume series on classical music written in Urdu by Mehfooz Khokhar. The book elaborates the theory of Indian Classical Music and is also a collection of notated traditional classical compositions – bandish. The book also contains several compositions by Khokhar Sahib and his ustad, Abdul Qadir Piyarang. Ustad Mefooz is not only a great teacher in music but I have also found him to be a very good human being in all respects. The innovation in music presented or created by Ustad Sahib about learning the raags is worhty. I feel proud to be his student. Ustad Mefooz is not only the great teacher in music but also i have found him a very good human being in all respect. The innovation in music presented or created by Ustad Sahib about learning the raags is worhty i feel proud to b his student. Assalam u Alaikum. Can you kindly let me know where can i buy Ustad jee’s book “Raga Saroop”? It would be a big help and warmly appreciated. AOA, Ustad Mehfooz Khokhar is not only a teacher but also a great musician. I want to be his student. Khokhar sahib, the real maestro of the era, in time,where there’re no such educated people seen in music, he filled this lacking by putting himself for music selflessly, never urge to make music as his profession, he says, “music is my love.” he devoted his whole for music, never urge to make money through it, “Raag Saroop” a unique book series of 5 editions so far is a land mark in classical music consisting of new techniques and innovations in music. now, he’s completed work on his 6th book “Panj Rang”. i’m having a great time with him so far, his kindness made me possible to learn classical music and i’m enjoying each and every moment. May Alla let him stay happy….!!! thank u sir…!! !